Hankering for a road trip but don’t feel like driving? No problem. Several Valley of the Sun companies offer tours all across the state. Visit Grand Canyon, Sedona, Antelope Canyon and more while riding in comfort and style. Let someone else handle the logistical challenges. Arrange day trips, overnighters or multi-day junkets. Combine activities like hiking, biking, and rafting, and all you have to do is show up and have fun. While each company offers a full slate of tours, they will also put together custom packages designed to fit your needs. Now you’ve got no excuse for sitting home. You’ve seen the iconic photos of Antelope Canyon, with columns of sunlight swaddled in red-orange toned sandstone. The most famous slot canyon in the Southwest is carved from slickrock near the shores of Lake Powell. It’s a bucket list spot for people from around the world and thanks to DETOURS, it’s a day trip from the Valley. DETOURS is the only company offering day tours to Antelope Canyon from Scottsdale. 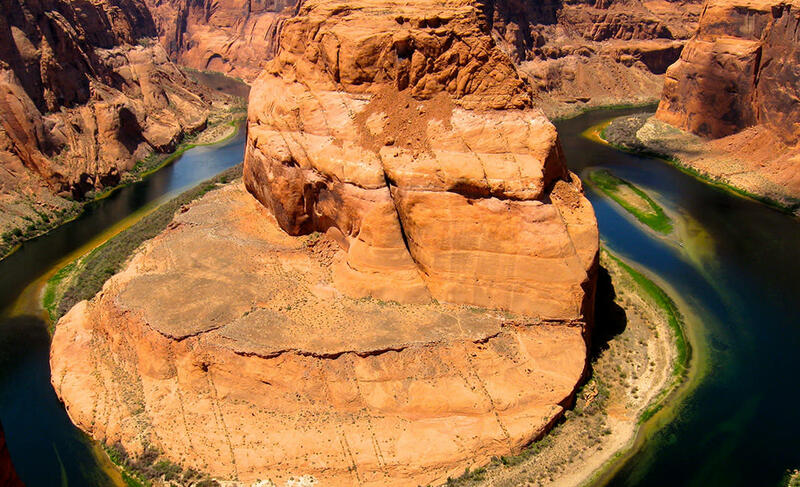 Along the way, guests enjoy stops at Horseshoe Bend and Cameron Trading Post. It’s a long day but hey, you’re not driving. Catch a few winks on the ride home if you like. Antelope Canyon tours include complimentary pickup and drop-off, continental breakfast, lunch, unlimited bottled water and all entrance fees. The company also offers daily tours to Sedona and Grand Canyon. A helicopter upgrade can be added to the canyon tour, or you can turn it into an overnight package to enjoy more time at the Big Ditch. DETOURS recently launched an excursion to the artist haven of Jerome that includes first class seats on Verde Canyon Railroad. 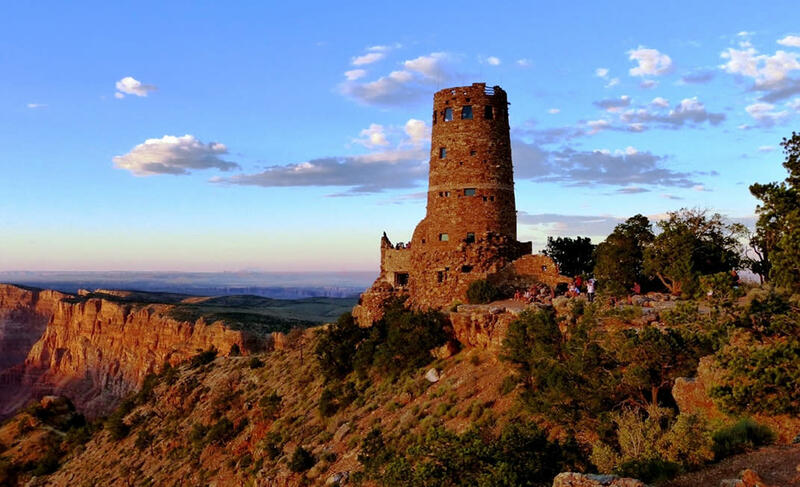 Since 1983 Vaughan’s Southwest Tours has shown folks the wonders of our remarkable state. They roll out of the Valley in vans outfitted with captain’s chairs to accommodate 10-12 passengers. Vaughan’s runs daily tours to Grand Canyon, entering the national park at Desert View on the eastern edge. From there they follow the East Rim Drive, stopping at multiple overlooks all the way into Grand Canyon Village. Another tour visits Sedona, Jerome and Montezuma Castle. Vaughan’s Southwest Tours also rambles south from the Valley. If you yearn to turn back the pages of history they’ll customize a tour to Tombstone where you can explore an old silver mine and visit Boothill Cemetery where so many notorious figures sleep in cold graves. Also included is a visit to the elegant Mission San Xavier del Bac, the “White Dove of the Desert,” near Tucson. Intimate personalized jaunts are the specialty of Arizona Scenic Tours. They focus on small group tours of 2-5 people, although they can accommodate more. And they’ll go to just about any corner of Arizona that interests you. They don’t have set routes, catering the itinerary to each group. 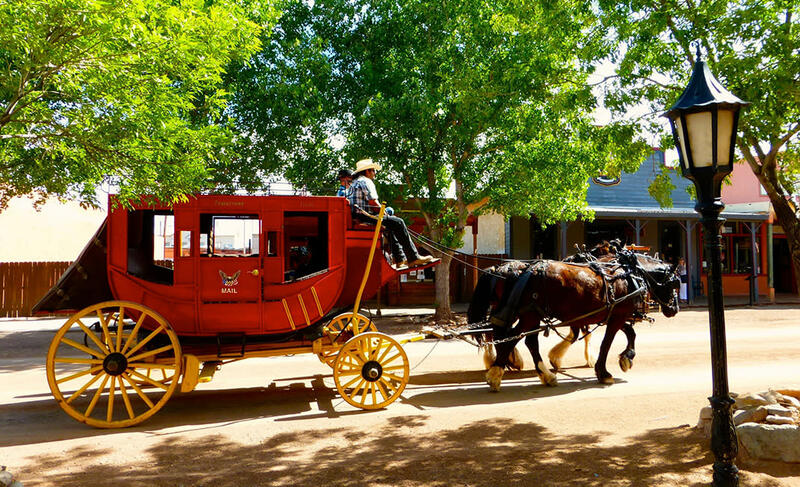 Take a day trip to Payson, Prescott, Wickenburg or Tucson. Or go further afield and explore Tombstone and Bisbee. Get your kicks on Route 66 or spend the night in Monument Valley. Wine buffs have a couple of options: a swing through the wineries around Sonoita and Elgin or to those tucked away in the lush Verde Valley. Of course, day trips to the Grand Canyon and Sedona remain the most popular outings. But with such small groups, there’s plenty of flexibility. Multi-day outings are available, and tours can also be combined with activities like horseback rides, helicopter rides, and hiking. This Scottsdale-based company places an emphasis on adventures. They’ll get you to the otherworldly turquoise waters of Havasu Falls or take you backpacking into the Superstition Mountains or be hiking rim-to-rim at the Grand Canyon — which as anyone who has made the trek knows, can be a logistical nightmare. Guided rim-to-rim hikes leave from Scottsdale with all problems handled, including transportation, lodging, and meals. Yet not every adventure has to be a grueling test of stamina. 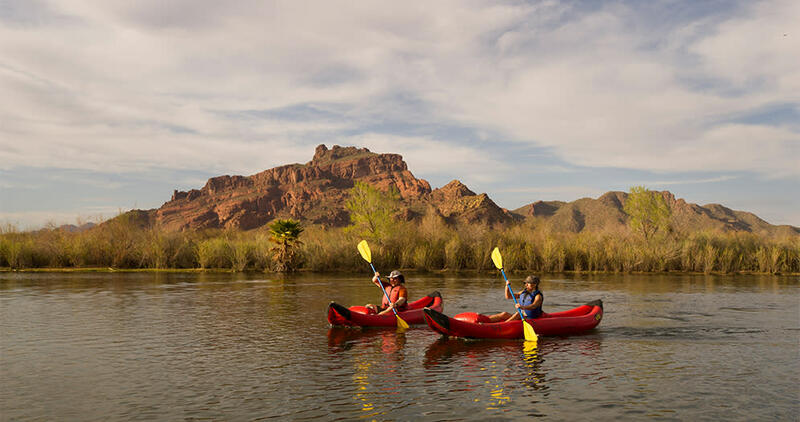 One of AOA’s most popular tours is a family-friendly half-day raft trip on the gentle waters of the lower Salt River. They’re also known for their numerous cycling jaunts, both road bike, and mountain biking. Spend a few hours riding Valley roads or desert trails. Or take a four-day Old West bike trip through Southern Arizona. You’ll travel the saguaro-lined roadways of Tucson, through the rolling grasslands of Sonoita and into the high desert of Tombstone. Lodging, transportation, meals and a wine tasting is included in the price. If you’re a more independent traveler, check out AOA’s bike rentals and self-guided tours.